This Painting is featured in my "Headlines" Show at SoPas Gallery. 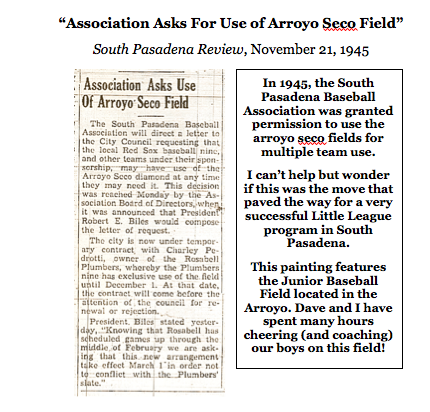 It was inspired by a headline that appeared in the South Pasadena review on November 21, 1945. You can read the article below and I have to say this is my favorite painting in the show. My husband and I spent hundreds of hours down in the arroyo attending our boys soccer and baseball games. I love baseball and I love this field! Today I had the chance to meet my best friend ... for the first time ever. Although it was completely unexpected, the biggest benefit (BY FAR) from blogging this past year has been meeting (via the internet) so many wonderful new artist friends. 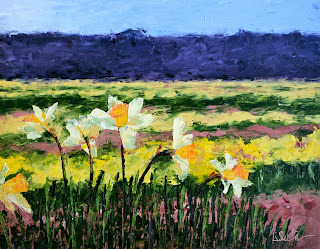 About ten months ago I received an email from an artist, Dreama Tolle Perry, in Paris, Kentucky. 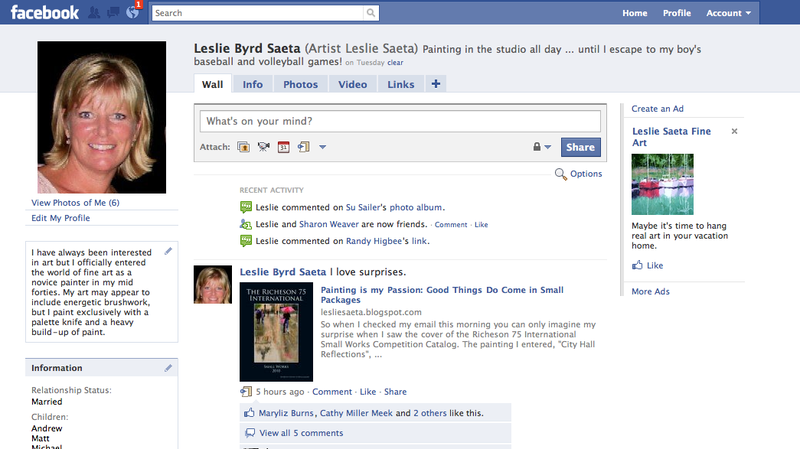 Her email asked permission to use some of my paintings for an exercise in one of her workshops. I said of course ... and then went to her blog and website and discovered her incredible talent and gift as an artist. Over the months we began to communicate more regularly. Every few weeks we would email. Then we began to talk occasionally on the phone. Then we started emailing and sharing art marketing ideas and communicating more frequently. Now we instant message every day, talk at least every other day and brainstorm and collaborate on idea after idea after idea. We use each other as a sounding board and for motivation and now share a talk radio show. We have so many plans and ideas for the future that we will be busy forever! Dreama makes me laugh and in fact on two occasions she has made me cry (from laughing so hard!). Today, I finally got to meet my new best friend in person. Dreama and her wonderful husband were in Southern California visiting family and we spent the day together. It was amazing. It was so wonderful to finally be able to hug her and just sit and laugh and talk ... and brainstorm. It felt as if we had known each other for twenty years. Another wonderful artist, Julie Hill, joined us for lunch. I met Julie from blogging and we shortly figured out that we lived seven houses apart from each other. How amazing is that? I am spoiled as I get to see Julie all of the time. If you are not familiar with Dreama and Julie's art, please check it out. And take some time to really get to know your blogging friends. Finally, here's the small print ... the Lakers did REALLY well tonight. They beat Oklahoma by 25 points. So all of my paintings on my website are 25% off until the next game. Unfortunately only paintings on my website are included (not those currently showing at a gallery), Happy shopping. Don't miss out! "Hawaii", Oil, 8" x 16"
All of the paintings for my show are framed and ready for delivery tomorrow. Yippee. I am really excited about the show and I have to admit, the unique idea and the extra work that came with it was absolutely worth it. 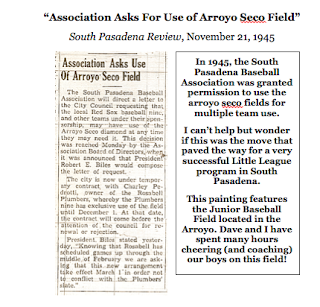 I have learned so much about the history of South Pasadena as I spent days looking at past issues of the newspaper. I have found that the paintings I painted of the places that are dear to me ... turned out the best! No big surprise there. Oh ... and good news. I already sold one of the paintings. I had a private showing in my dining room tonight! I will post the paintings on Wednesday when the show opens. If you are in South Pasadena, please stop by! I will be at the SoPas Gallery this Saturday from 6:00 - 9:00 pm and at the gallery the following Saturday (May 8th) for the Artist Reception. I am heading to Hawaii next Sunday for a few days with my favorite client. I am actually going over two days early for a little R&R and plein air painting before we begin our site inspection for a big incentive trip in October. I love the Big Island so it should be so much fun! So ... posting this Hawaii painting made sense today! "A Day of Reflections" Oil, 12" x 12"
Today was a frustrating day in my studio. Paint and scrape. Paint and scrape some more. Then walk away for awhile. Come back and look at the canvas with hopes the painting fairies have come and fixed the mess on the canvas. No such luck! "Going Solo", Oil 6" x 6" on museum quality panel. It is so hard looking at all these finished paintings and not being able to share them with anyone ... yet! I deliver my paintings to the SoPas Gallery on Monday. I will post them on Wednesday, the day the "Headlines" Show opens. I have a few finishing details but I am very close. Thank heavens. It has been a long month! Fortunately (or unfortunately?) 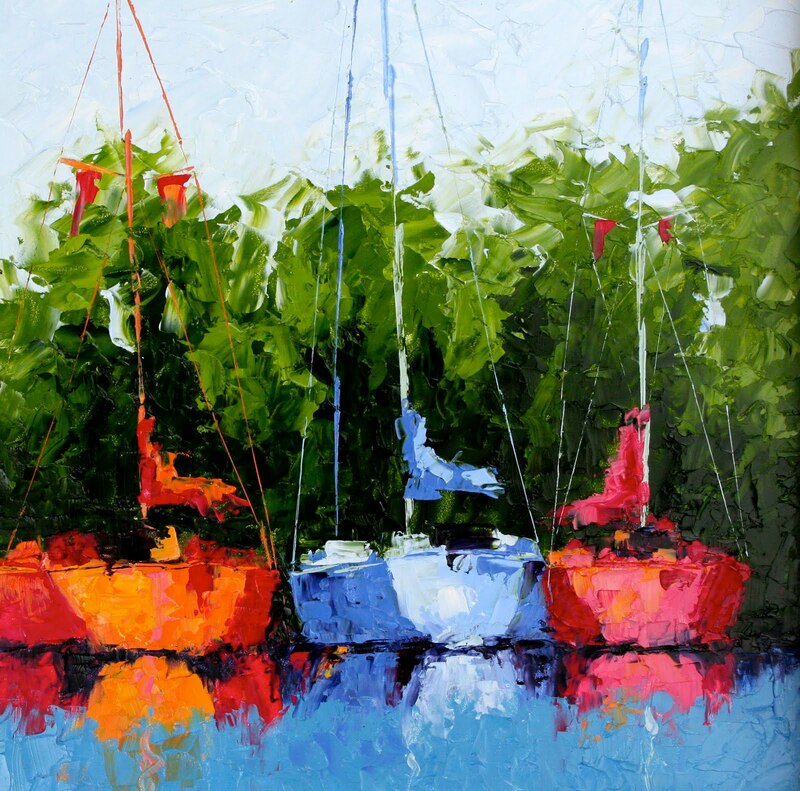 I will jump right back in to painting as I have 10 new beach/boat paintings I heave to finish in the next two weeks. But that's ok, I am excited to start! Just don't make me paint trees anymore ... for a while at least. If you are an artist I hope you have had a chance to join me for my blog talk radio show. Today we had a great discussion about "creating an insanely popular blog". It's funny how we all focus on improving our websites but forget to step back and take a look at our blogs. We keep adding content and adding "stuff" and before we realize it, our blogs are cluttered! If you missed the show click here and you can listen to the replay. You might also enjoy last week's show about websites. Next Thursday we will discuss newsletters. So ... the Lakers are playing right now and they are up by six. They are playing well so I hope their "margin of victory" will be high so I can offer a nice discount on my paintings! Oil, 6" x 6", $250 framed. Most of you know I am a huge Laker fan. Since the playoffs are here, I am offering a discount on my paintings that will be determined by the score differential in the Laker games. For example, the Lakers won last night by 3 points, so my paintings are all 3% off. Now, had I been a Boston Celtics fan I would be in big trouble because they beat the Miami Heat last night by 33 points! And if the Lakers lose, you pay me. Kidding! (There is no discount or increase if they lose!) So, check your sports section. Because if the Lakers win big, so do all of you! "Banana Boat", Oil, 6" x 6"
I am almost finished painting for my upcoming show "Headlines". A few more days and I will be done. I am so tired of painting trees and city scenes. I miss painting boats terribly!! The painting posted here is one of my favorites. If you recall, I did a 30" x 40" larger commission for a wonderful client in New York. But I still have the little one. Although it seems like I have been working on my upcoming "Headlines" show for months, the opening date is right around the corner! 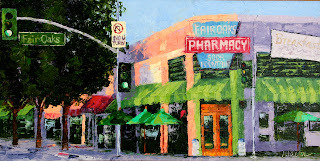 This show is truly a labor of love as I have featured paintings from my favorite place in the world ... South Pasadena. 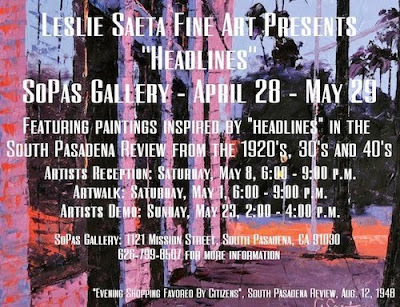 The show will feature 20 paintings which were all inspired by headlines from past issues of the South Pasadena Review newspaper from the 1930's, 40's and 50's. Each painting will feature a present day scene from South Pasadena that depicts each headline. The artists reception will be held on Saturday, May 8th from 6:00 - 9:00 p.m. I will also be at the Gallery on May 1st for the South Pasadena Eclectic Music Festival & Art Walk from 6:00 until 9:00 p.m. Also, be sure to join me for an artists demo on Saturday, May 23rd from 2:00 until 4:00 p.m. The public is welcome to attend all events. The painting featured above is from the headline "Evening Shopping Favored By Citizens" which was featured in an article on August 12, 1948. The story explains that many South Pasadena residents wanted stores to be open one night a week. They opted to open the stores on Thursday nights for all of those "late shoppers". So ... why did it take them until 1948 to realize that this was a good idea? I have also published a book titled "Headlines" featuring all of the paintings, headlines and corresponding newspaper articles from the upcoming show. Copies of the book will be available at the opening on May 8th. SoPas Gallery hours are Tuesday - Friday, 10:00am - 5:00pm. 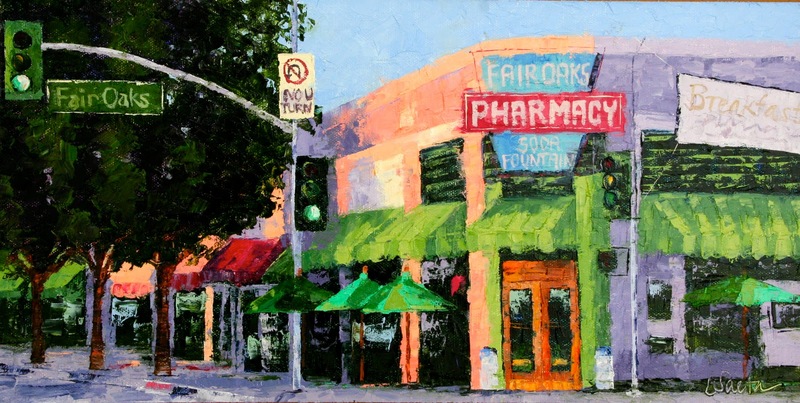 The gallery is located at 1121 Mission Street, South Pasadena, CA 91030. For more information contact Leslie Saeta at 626-799-8507. Once again sorry there is no new artwork to post. I am just too busy painting for my upcoming "Headlines" show which opens on April 28th! 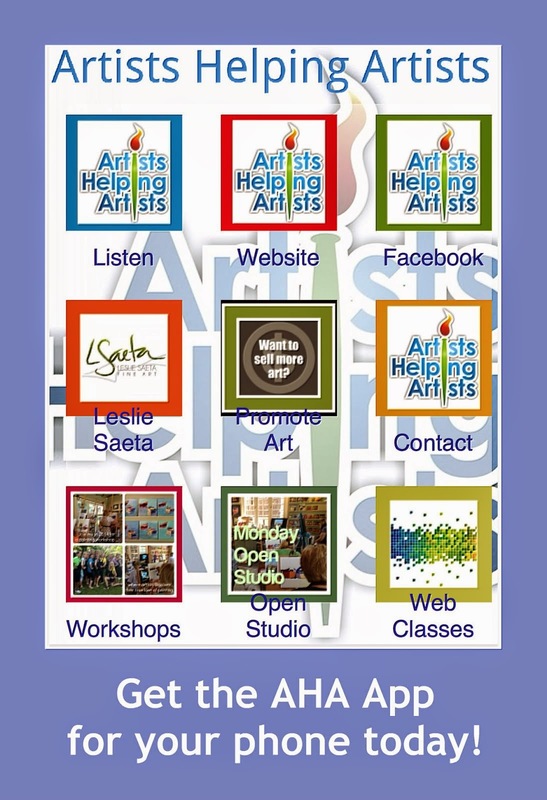 And finally, if you missed my Blog Talk Radio Show this morning titled artists Helping Artists" you can listen to it here. 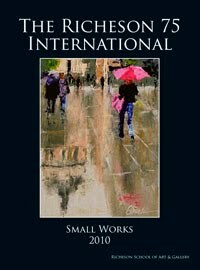 So when I checked my email this morning you can only imagine my surprise when I saw the cover of the Richeson 75 International Small Works Competition Catalog. The painting I entered, "City Hall Reflections", was selected to go on the cover! Back in January I had this idea (which at the time seemed brilliant but was in fact somewhat dumb) to enter seven art competitions. 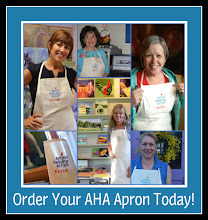 Initially I was thrilled to be selected in to them all, but then when I realized the hassle (and expense) of shipping my paintings all over the United States, my excitement began to wear off. This painting (which is sold ... my parents own it so it had to be "borrowed back" and sent to the Richeson show) wasn't even for sale. So, there was no chance of even a sale from the show! So, that is why I was so thrilled to see my painting made the cover of the program. Special thanks to Artist Julie Hill for suggesting I enter the the Richeson contest. For more info on the Richeson 75 show, click here. Bloggers ... Need a Break? Oil, 14" x 11" on canvas. Most of you aware that I love marketing. My background is in marketing and I really do think I could sell ice to an eskimo. Or even better, art to an artist. 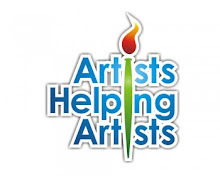 I started a bi-monthly conference call (which has just been updated to a weekly call) with artists called "Artists Helping Artists". 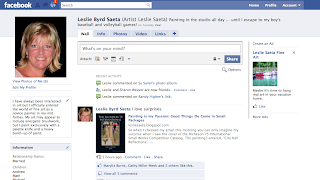 We mostly focus on selling art on-line. I share lots of tips but everyone shares their ideas. 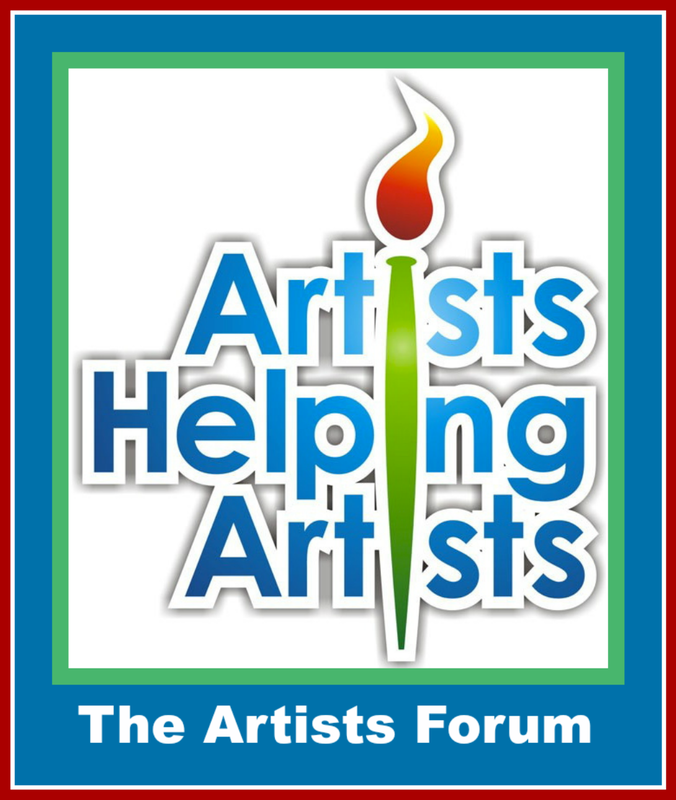 It is a great forum for all artists and is truly a highlight of my week! 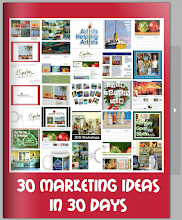 I have decided to branch out even more with my marketing tips and wanted to offer myself as a "Guest Blogger". If you just can't think of something interesting to post on your blog one day ... let me know. 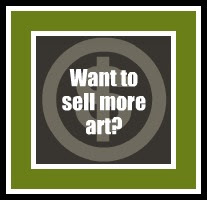 I would be happy to be a "guest" on your blog and share an idea as to how artists can sell more art. So, join me on the call this week and see what you learn. The call is now hosted on Blog Talk Radio. Call in information is listed to the right on this blog. I promise you won't be disappointed. This painting sold at the auction fundraiser last night. I am so happy that a good friend of mine got it and more happier that the fundraiser is over! Yippee! Now I can paint 100% of the time (except for an occasional break for food and sleep). I will have the paintings for my upcoming show "Headlines" completed soon. I was pleased to see the local newspaper featured a story on my "Headlines" show on the front page this week. Tip - if you create a theme for an art a show based on old headlines from a local newspaper, there is a good chance the newspaper will provide lots of publicity for the show! Confession - when I came up with the idea of the show, this thought actually never occurred to me. Duh! Oil, 6" x 6" om canvas panel. 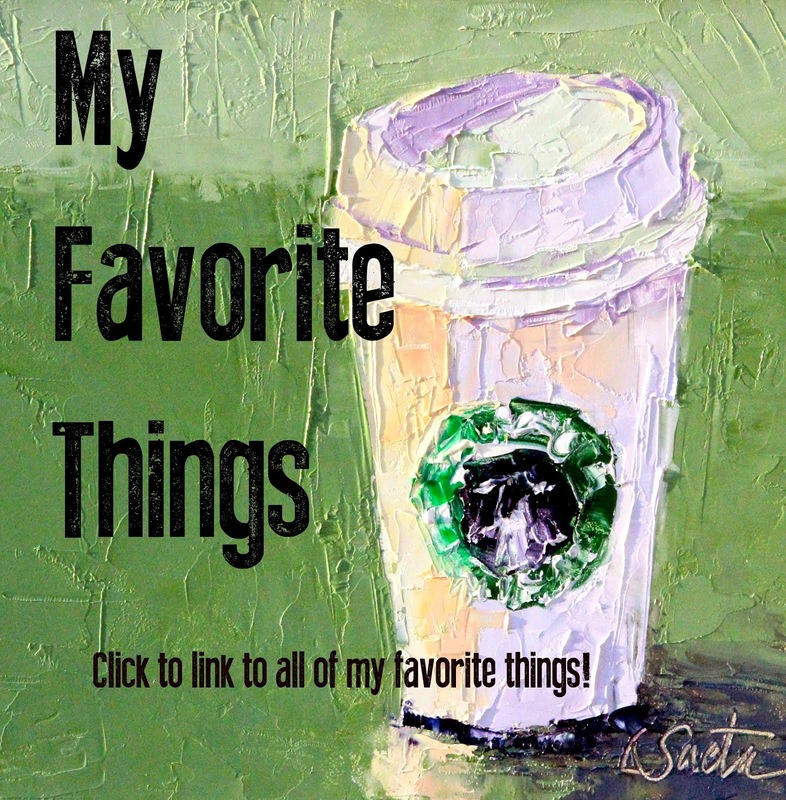 I have been very fortunate to be featured on the Daily Painters Cafe this week. If you want to know a LOT more about me, click here. Just scroll down to the second interview posted. Enjoy! "Dual Reflections", Oil 6" x 6" on canvas panel. So ... I have been painting for my "Headlines Show" and haven't been able to do much more. I was actually in my studio when the big earthquake hit this afternoon, although it wasn't all that bad. At first I thought I was just having a dizzy spell! But when the lamp on my desk started swaying I knew it was good old Mother Nature shaking us all around. I am really getting excited for the "Headlines" Show. The paintings are great but the historical tie in to all of the old headlines and newspaper stories is pretty fun. The show means a lot more to me. And ... it is taking a lot more time!